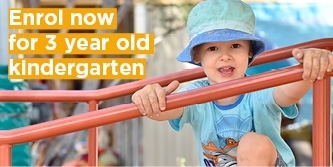 At Lower Templestowe Preschool our passionate and experienced educators provide exciting opportunities for children to learn, discover, improvise and grow. This helps children develop the foundations for life-long learning. As a community-based preschool, we celebrate the diversity of the families within our preschool and encourage all families to contribute to our kindergarten community. We offer a play-based learning program for both our three and four-year-old groups. 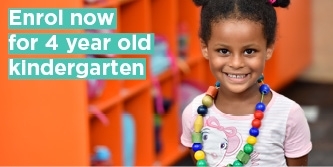 Our curriculum embraces the Early Years Learning Framework and is based on children’s strengths and interests. Our learning programs are flexible and based on the children’s ideas and developmental stage. This allows children to determine the nature and direction of their learning experience. We believe this kind of environment inspires individual creativity, expression and resourcefulness, stimulating children to reach their potential. We embrace the importance of active play and take advantage of our fantastic natural and manmade facilities to offer activities that refine children’s gross and fine motor skills. Our outdoor environment is welcoming and accessible. There is a large sandpit where children can dig and build sand castles, a large area for running, and shade cloth areas to protect children from variable weather conditions. Our outdoor area is decorated with large areas of fencing where blackboards or cardboard can be hung to allow for collaborative work.